Vhernier, a Milanese luxury jewelry brand, wanted to invite all its dealers to the most important jewelry fair, Baselworld 2013, where he returned to exhibit after several years. 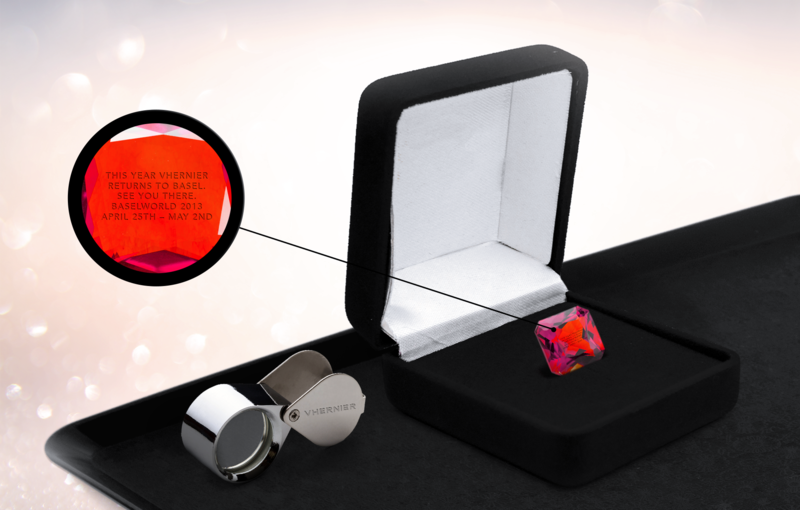 A direct mailing has been sent to the jewelers: it consists in a box with a stone and a branded lens. An invitation text has been engraved on the stone and the dealers could read it only by using the lens. The text read “This year Vhernier returns to Basel. See you there. Baselworld 2013, April 25th – May 2nd”.